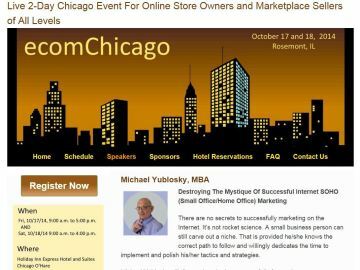 This handout version of my slide show that was presented at the ecomChicago conference October 17, 2014 in Rosemont, IL. This handout version of my slide show presented in Gurnee on October 20, 2014. 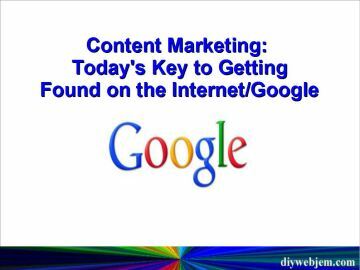 It is an overview of how important content marketing has gotten for companies wishing to be found on Google search engine results pages. The presentation includes tips and examples, ideas and resources, as well as basic optimization and SEO factors. 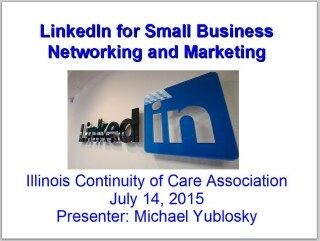 This is my basic introduction to LinkedIn, its structure, benefits and opportunities. Also included are my seven main takeaways you need to understand to become successful on LinkedIn. 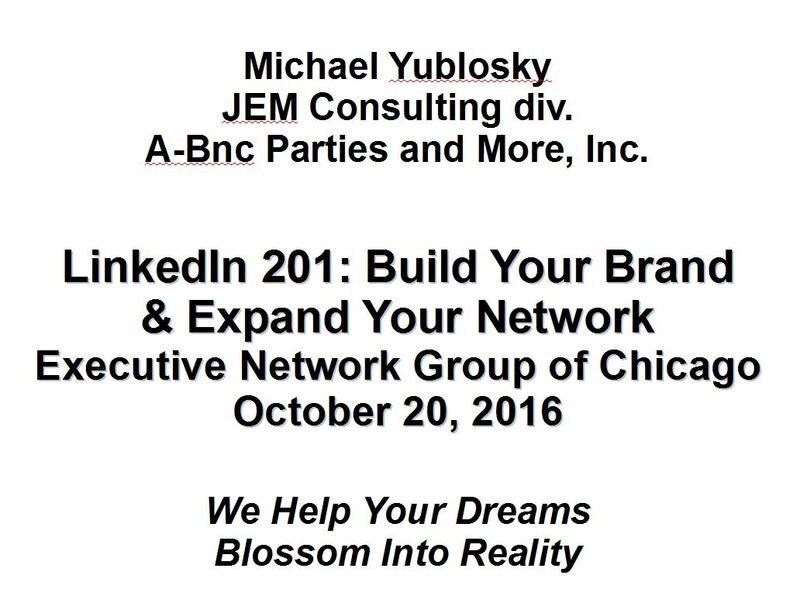 This presentation was for the Executive Networking Group of Greater Chicago on October 20,2016. It was held at the Schaumburg (IL) Public Library.